Zo's Relic is located behind a 1920s home in a historic district of Amarillo. 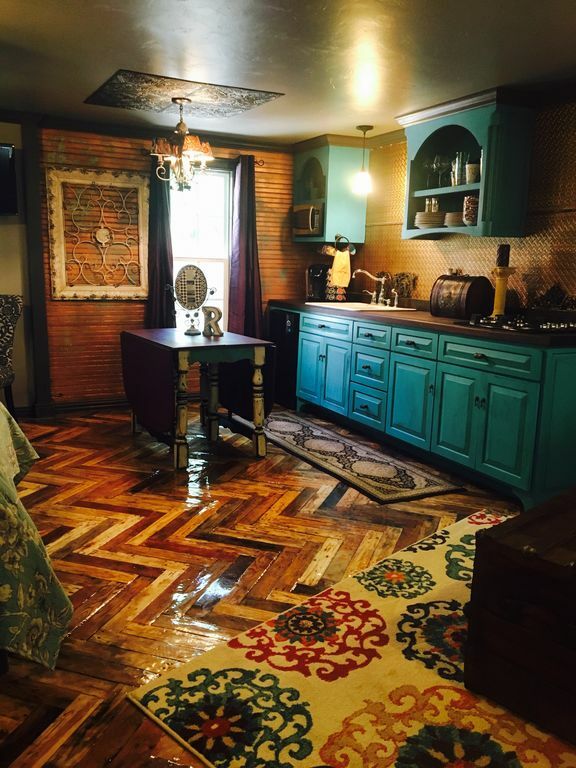 An adorable retreat in an historic district of Amarillo, Zo's Relic is conveniently close to downtown and famous 6th Street. *Private fenced entry and back yard with out patio. Dogs are welcome! Zo's Relic is a quick drive to many of Amarillo's wonderful attractions. Unique and comfortable place to stay. Unique and comfortable place to stay. Loved the decor, great neighborhood, close to restaurants. We really enjoyed it. This place had everything that was needed for a pleasant stay. Zo’s Relic was beautiful! We enjoyed having room to stretch out and relax so close to town. The bed was very comfortable and the amenities were exactly what we needed for a week away. Thank you for being so helpful and responsive Zo. We’re planning to stay next time we are in Amarillo! It was our pleasure to have you all stay at our place. Please know you all are always welcome here! Highly recommended Zo’s place. Beautiful and clean. This was a great little cottage. The bed was very comfy, the space was clean, and decor was so cute. I will definitely stay here again when visiting family. So much better than staying in a hotel, and for half the price! Zo responds quickly to any inquiries. Thanks for offering such a nice little spot, and welcoming fur babies!